Screenshots can tell a lot more than what words or explanations can and if you’re a developer, the need of screenshots even widens. With screenshots, you can take a snapshot of whatever is being displayed on the phone’s screen and then share it with others or save it for future reference. No matter why you need the screenshots, follow the steps below to take one. To take the screenshot on your Nokia X, X+, X2 or XL, you just need to press both the Volume Down and Power Key together. The screen will flash backed by a shutter sound (depending upon your sound settings) and boom your screenshot is taken. Yes! Its that simple. Once you’ve taken the screenshot, you can find it in the screenshots folder in the gallery. App Launcher> Gallery> Screenshots. It might be that the game publisher has disabled screenshots in its app or you’re not pressing the buttons in the correct combination. how to disable screenshoot sound? thanks..
how can screenshot in nokia X2.01 Multipaid? I have nokia X2 and its work..? You need to keep the keys pressed till the screen blinks. tks for the tip of keep the keys pressed. it was so helpful never thought i will be able to do that. How do I move a pix from one folder to another xnks. Just copy and paste using a file manager. How can i do on nokia x2? The process is the same for the X2 as well. Just press and hold for a while. Its not working either way.both Volume up snd the power key and volume down snd the power key…any other way pls? I have X2 also, it’s not working. Tried doing up and down, none works, it’s frustrating. Help pls!!!!!!!! 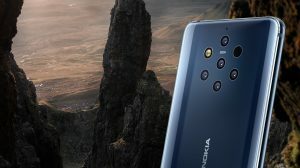 how to take screenshot in nokia 5255? Are you holding down those two buttons for a few seconds? Sir u can’t take screenshot in nokia x2. Plzzz help me. It works. Retry. Press and hold the keys. 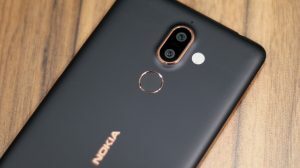 how to turn off shutter sound of Nokia xl screen shot ?? It works. You need to press those keys together and hold them. same with me also : screenshot is taken by volume Up + button and the lock key for Nokia X , why So ?? How can I take screenshot in Asha 501? I’ve tried an app named Nokia Screen Dumper, but it’s not working. Can you suggest a method? Sprry. There’s no way to take screenshots in the 5xx series of Asha devices. 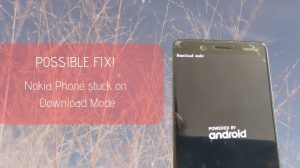 Any progress on the bootloader unlock? I think Nokia has priced the x little on the higher side, so the xl might be priced close to the moto g, which has better specs. I think they didn’t want to cannibalize asha 501 series, hence phone at every price point. However 520 and 521 would be affected. Let’s see how well they manage to sell these. I think the launch pricing is all okay. S Duos is the direct competitor to the X and I think X will beat it in most of the parts. The OS on X is not as memory hungry as on the S Duos. Yep. Its same for majority of the droids.